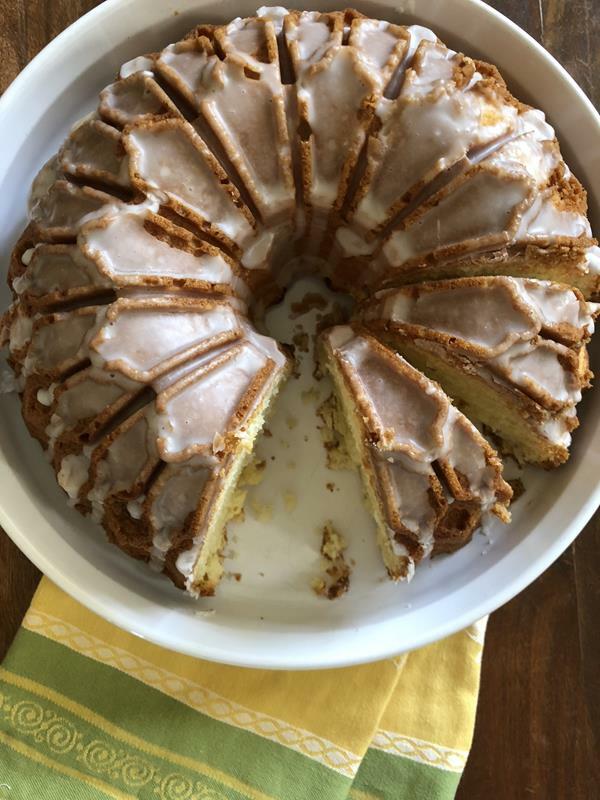 If you love lemon as much as I do than this Lemon Bundt Cake is a must try! It includes a gluten free version for those that eat gluten free. The gluten free version is so good no one will know that it is gluten free! Lemon desserts are some of my favorite desserts. They are right up there with chocolate. I have loved them since I was a kid and my mom made her famous lemon bars. My mom’s lemon bars are still one of my favorite desserts. I have even made them gluten free. I now make the gluten free lemon bars all the time. Lemon cakes though are a close second to my mom’s lemon bars. I request lemon cake or a lemon dessert almost every year for my birthday. 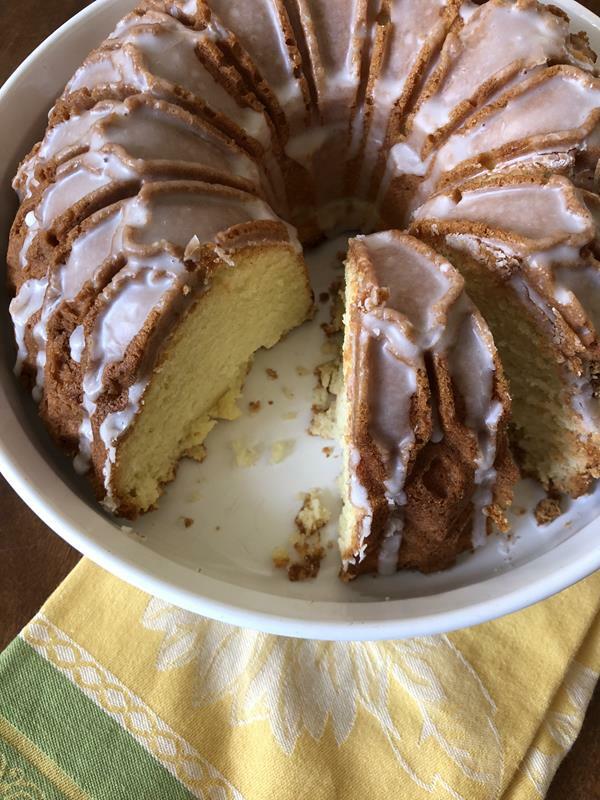 I have tried lemon bundt cakes over the years and haven’t found one that I love until recently. I finally adjusted and adapted a recipe until I got it just right. This cake has the perfect amount of lemon. It is enough, without being too much. 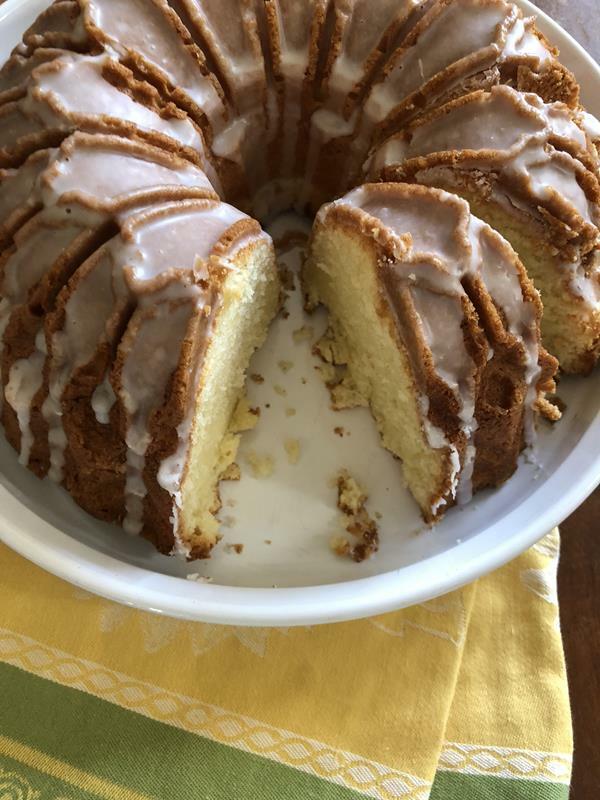 I made it as a bundt cake instead of a normal cake. Making it as a bundt cake gave it a great texture and made it easy to make. Plus bundt cakes always look pretty without a lot of work. I drizzled a lemon glaze on top to make it extra special, but you don’t have to. It does make it prettier though and gives it an extra lemon flavor. This would be a delicious cake to make for the holidays. Or really any day. If you are gluten free this cake works great with Bob’s Red Mill 1 to 1 gluten free blend. You won’t be able to tell that it is gluten free. 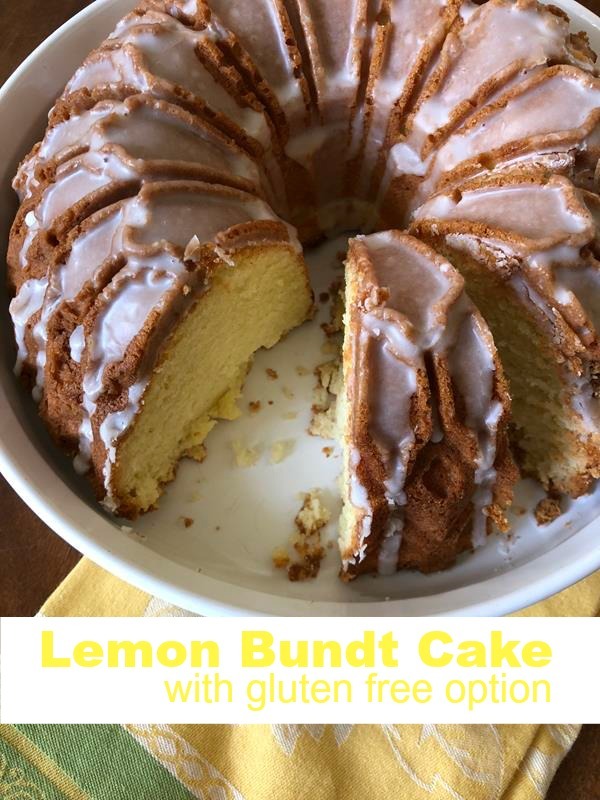 Easy and delicious lemon cake with a gluten free option. In a small bowl or measuring cup combine milk and lemon juice. Set aside. This will develop a different texture as it sits, but that is what you want. In a mixing bowl combine butter and sugar until well combined and light in color. This takes 3-4 minutes. Add eggs one at a time. Beating well after adding each egg. In a separate bowl combine flour, salt, and baking powder. Add half of the flour mixture to batter and mix just to combine. Slowly add in milk lemon juice mixture. Stir just to combine. Add remaining flour and stir until combined. Spread batter into prepared bundt pan. Bake for 50-55 minutes or until toothpick inserted into the cake comes out clean. Remove from oven and let cake rest in pan for 5-8 minutes. Remove cake from pan and let cool on wire rack. Make the glaze by whisking together powdered sugar and lemon juice. This looks delicious! Also,I love that bundt pan! Where did you get it?